The Theory of Evolution is the widely held notion that all life is related and has descended from a common ancestor. The theory is anchored on the premise that “homo sapiens” or modern man came from an ape-like ancestor. It made it seem possible that even people might just have evolved quite possibly from apes and destroyed the prevailing and conventional facts on how the world began and how men were created. This theory was well-documented and studied by the first of the evolutionary biologists named Charles Darwin. Charles Robert Darwin was born on 12 February 1809 in Shrewsbury, Shropshire into a wealthy and well-connected family. His maternal grandfather was a china manufacturer Josiah Wedgwood, while his paternal grandfather was Erasmus Darwin, one of the leading intellectuals of 18th century England. Darwin himself initially planned to follow a medical career, and studied at Edinburgh University but later switched to divinity at Cambridge. In 1831, he joined a five year scientific expedition on the survey ship HMS Beagle. Darwin worked on his theory for 20 years. After learning that another naturalist, Alfred Russel Wallace, had developed similar ideas, the two made a joint announcement of their discovery in 1858. In 1859 Darwin published “On the Origin of Species by Means of Natural Selection.” During his teenage years, Darwin suffered from a mysterious and debilitating condition that various authorities attributed over the years due to bad nerves, tropical disease, arsenic poisoning, intellectual exhaustion, dyspepsia, and other complaints. According to the Journal of the American Medical Association, Darwin's symptoms were most likely a form of panic disorder aggravated by agoraphobia. Panic disorder, which affects an estimated 13 million Americans, manifests itself in unexpected attacks of extreme anxiety, with symptoms including rapid heartbeat, shortness of breath, trembling, sweating, nausea and dizziness. Some victims feel as if they are losing their minds or are about to die. Many become so obsessively worried about subsequent attacks that they make major changes in their behaviors, shunning whatever situation the could prompt another panic attack. It is twice as common in women as in men. It can appear at any age; in children or in the elderly. Often, it is manifested more strongly among young adults. Darwin was 27 when his illness first became severe. Not everyone who experiences panic attacks would develop panic disorder. Many people only have one attack but never have another one. For those who do have panic disorder, if left untreated, the disorder can become very disabling. Panic disorder is often accompanied by other conditions such as depression or alcoholism, and may lead into phobias, which can develop in places or situations where panic attacks have occurred. A lot of people who suffer from panic disorder can be successfully treated without resorting to the use of any medication. However, when medication is needed, the most commonly-prescribed class of drugs for panic disorders are the benzodiazepines (such as clonazepam and alprazolam) and the selective serotonin reuptake inhibitors or SSRIs antidepressants. It is rarely appropriate to provide medication treatment alone, without the use of psychotherapy to help educate and change the patient's behaviors related to their association of certain physiological sensations with fear. Most specialists agree that a combination of cognitive and behavioral therapies are the best treatment for panic disorder. 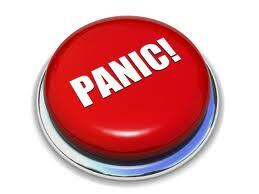 The key symptom of panic disorder is the persistent fear of having future panic attacks. If one suffers from repeated (four or more) panic attacks, and especially if he or she have had a panic attack and are in continued fear of having another, these are signs that you should consider finding a mental health professional who specializes in panic or anxiety disorders. Relaxation techniques can further help someone go through an attack. Techniques include breathing retraining and positive visualization. Some experts have found that people with panic disorder tend to have slightly higher than average breathing rates. Learning to slow the breathing rates can help someone deal with a panic attack and can also prevent future attacks. Anti-anxiety medications may be prescribed, as well as antidepressants, and sometimes even heart medications such as beta blockers that are used to control irregular heartbeats. A support group with others who suffer from panic disorder can as well be very helpful to some people. It can't take the place of therapy, but it can be useful and comforting. Experts believe that the great scientist Charles Darwin might not have revolutionized biology if not for the disorder he dealt with. He became a scholarly hermit that produced a very controversial theory while he was then under a “mysterious” condition. The symptoms of panic disorder arose shortly after he started a secret notebook that, 22 years later, would become his book-length elaboration of one of the greatest contributions ever made to science.